Argentière is a traditional Savoyarde village, nestling high in the Chamonix valley surrounded by dramatically rugged and picturesque peaks. Four miles further, on the other side of the Col des Montets towards the Swiss border is an even better kept secret, the small village of Vallorcine with the hamlet of le Buet close by, with some excellent terrain for beginners and intermediates. Argentière is probably the most challenging ski area in the Chamonix Valley, offering a wide variety of skiing, from the nursery slopes of Les Chosalets, the wide blues of Marmottons and Arolles, the stunning Bochard red through to the immense Point de Vue black from the very top of Grands Montets. Add to that the natural moguls of la Herse, the combes forming natural board parks and the huge powder bowls of the Glacier, Lognan and Combe de la Pendant. Guides are in demand and the 24 km run down from the Aiguille de Midi on Mt Blanc at 3800m is the second longest in the Alps. 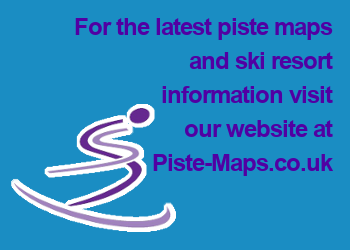 There is an excellent snow record and overall the skiing is superb. 32 Chemin du Moulin, Les Frasserands, 74400 Argentière, Tel: +33(0)450540537. 31 Chemin des Grassonnets, 74400 Argentière, Tel: +33(0)450540187. 501, Route du Plagnolet, 74400 Argentière, Tel: +33(0)450185066. Télécabine du Tour Col de Balme, 74400 Argentière, Tel: +33(0)450541707. 39 Route du Plagnolet, 74400 Argentière, Tel: +33(0)450540280. 285 Rue Charlet Straton, 74400 Argentière, Tel: +33(0)450540002. 325 Rue Charlet Straton, 74400 Argentière, Tel: +33(0)450540155. Le Tour, 74400 Argentière, Tel: +33(0)450540104. 340 Chemin des Arbérons, 74400 Argentière, Tel: +33(0)450 540666. 24 Clos du Montana, 74400 Argentière, Tel: +33(0)450541499. 705 Route du Chapeau, Le Lavancher, 74400 Argentière, Tel: +33(0)450540376.